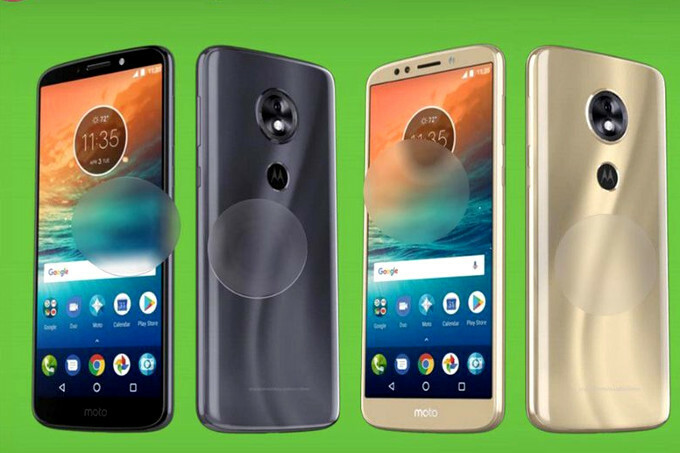 Moto G6 Play is one of the most awaited smartphones of 2018.All Moto series devices are hugely popular in Asian countries like India as they offer great specs and features on a budget. 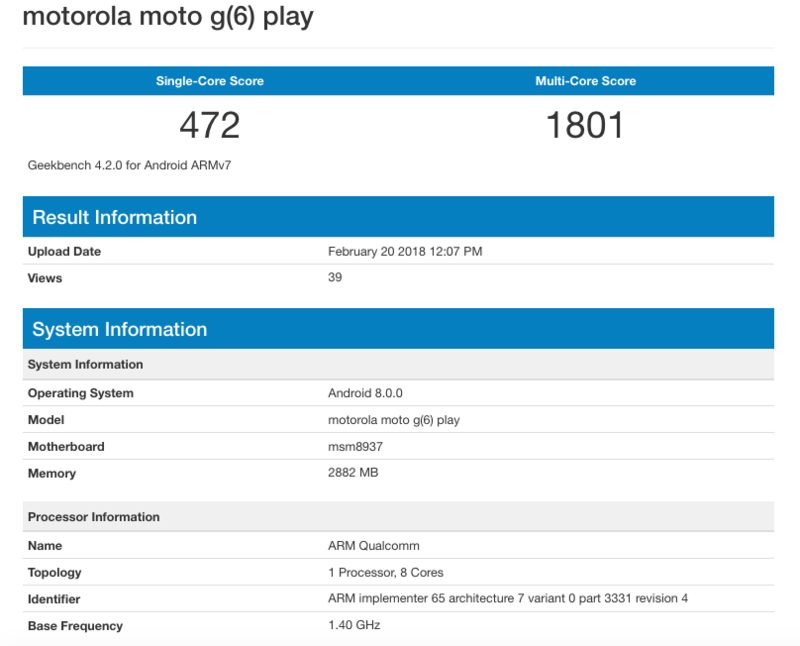 We have been hearing loads of rumour about the Moto G6 Play but none of them is trustworthy, but now we have some of the specifications details of Moto G6 Play as it appeared on Geekbench.According to Geekbench, the two-year-old Snapdragon 430 CPU will be powering the device which is really a disappointment if it becomes true and will be the main drawback of the device.The device will come with Android 8.0 Oreo which is not the latest version still better than Nougat.There will be 2 variant of the device,2GB and 3 GB RAM. The G6 Play will be equipped with a 5.7-inch HD+ 18:9 display.The device will house a giant 4000mAh battery which is a big plus.It will support fast charging.With this huge battery, users can easily get 1.5 days of battery backup with moderate use.According to the earlier rumours, there will be 3 colours dark charcoal, gold, and deep blue colours.